This weekend was one of complete catharsis for me. The Indian microfinance sector, as is well known now, has gone through a roller coaster over the course of the last year and a half—one of emotion, accusations, and frustration. For myself, having had the privilege of working on the Access to Finance in Rural Andhra Pradesh study with colleagues at the IFMR Centre for Micro Finance (CMF), sitting over 7,000 miles away as the crisis unfolded was agonizing. Instead of being there to witness events unfold, to gauge the sentiment throughout the country as the crisis exploded, and most of all, to discuss all of this with my colleagues, those who were just as invested and passionate about the issue as myself, I was forced to follow along via dispassionate tweet, blog, and newsfeed. I also didn’t want to believe that the accusations were true. And indeed, having worked on the Access study, I was (and still am) convinced that the accusations of over-indebtedness to private microfinance institutions (MFIs) were largely untrue. So when the Andhra Pradesh (AP) government’s accusations came out, I believed that this was yet another instance of political maneuvering, conveniently timed just as SKS had gone public (a smaller crisis had occurred in 2006—although it can only be called smaller in retrospect, given the implications of last year’s crisis), becoming the largest and most profitable MFI in India and nearly the world, to the tune of $350 million dollars. The underlying question that we should be asking in AP is why indebted households are driven to suicide in the first place. This question is much more complex than simply placing blame on MFIs alone. Rather, debt-induced suicide has long been a problem in AP. 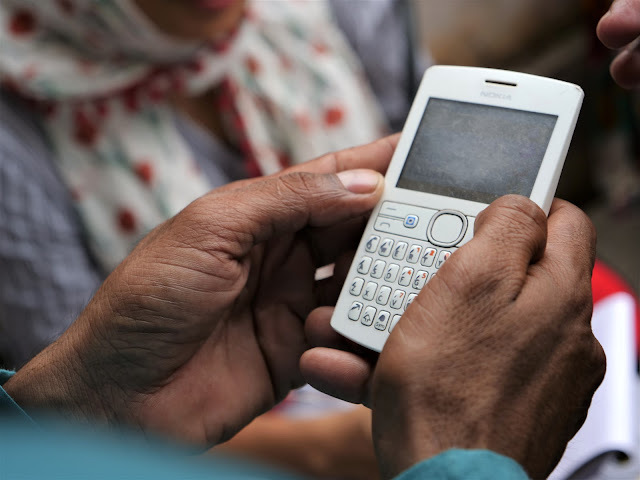 Blame that has traditionally been placed on moneylenders has now shifted to MFIs without recognizing that the origin of the problem remains the same: inadequate access to flexible, affordable finance that can help households deal with unpredictable income shocks. Although microfinance is one channel to affordable finance (if implemented properly), savings and insurance are necessary components as well. This is where I had assumed that India’s largest MFIs would never allow their loan officers to flagrantly coerce borrowers into repayment, that they must have learned from the 2006 crisis, and that they must have been aware that allowing such lapses of conduct, to any degree, would damage their business irreparably. If anything, this was what a rational business strategy called for, at the very least. Friday’s Washington Post/Associated Press story recapping, in grim detail, the manner by which SKS loan officers did push borrowers to unthinkable limits, all while top management knew, understandably left me feeling betrayed, irate, and incredulous. How could its top management have been so irresponsible as to have hidden the evidence and continue to deny any culpability? This was an affront not only to the families that had suffered the loss of one of their own but to all SKS borrowers that had placed trust in them, and to the hundreds of thousands who were once again deprived of a much-needed instrument of financial access. Vikram Akula was set to speak at the Harvard Social Enterprise Conference, organized by the Harvard Kennedy and Business Schools, the next day, and I was ready to put forth tough questions about all that had happened. I could never have predicted what actually ensued. My anger was replaced by shock, first by his demeanor, one that was visibly shaken and sincerely remorseful, and by the courage it must have taken to say what he related to us, both in a Keynote on Saturday and in a more intimate setting on Sunday, with Professor Michael Chu of HBS as moderator and Vineet Rai of Aavishkar as co-panelist. Simply put, he admitted to failure. “I let the current generation of social entrepreneurs down,” he told us, and admitted that he should have listened to Dr. Yunus’ frequent and forceful warnings that private capital and microfinance were a tenuous and dangerous combination. He admitted to youthful hubris and naïveté, while extending himself as a guide to us, the next generation of social entrepreneurs, so that we don’t fall into the same trap that he did. He had bitten the apple that equity was the only route to scale SKS, and in doing so, lost control of the behemoth he had created. If he were to do it again, he stressed a new set of 3 C’s, in contrast to those that had previously fueled SKS—overcoming capital, capacity, and cost constrains. The new C’s? Culture, control, and codes of conduct. What struck me most was his emphasis that it takes care, consideration, and constant effort to ensure that your social enterprise remains truly SOCIAL as it goes through the flux that will inevitably accompany growth. There is no room for cutting corners as far as this goes; it’s up to you to suffuse your organization with its spirit and to never let that go. I was awestruck to have been in that setting, as all three engaged in pointed, honest conversation on the role of investment in social enterprise—and as my pre-Kennedy School life came full circle, fittingly, as I ready myself for the next chapter of my journey. I’m left wondering how we’re to reconcile the relentless demand for rapid scale with that other refrain that solutions must be highly localized and contextualized, whether it be in the provision of financial services or to address any of the challenges that we face today. In the meantime, thank you, Vikram Akula, for having the courage to admit to failure. Sushmita Meka is currently a student at Harvard’s Kennedy School of Government and a former Research Associate at the Centre for Micro Finance.